Do You Eat When You’re Stressed? Stress eating has always been a problem for me. For whatever reason, food is the first thing I turn to when life turns up the heat. And I’m not alone! 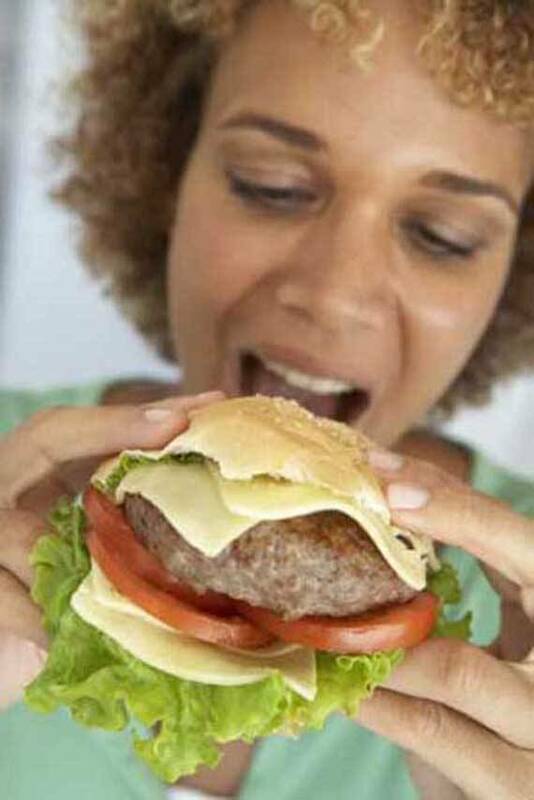 Stress eating effects many people in America particularly. While there are those lucky few who actually manage their food intake during times of stress, there are many more who look to their refrigerator for comfort when things go wrong. So what is a stress eater supposed to do? Break out your juicer and juice yourself something yummy. Whole grain bread topped with clean nut butter and sliced banana. Any way you look at it, stress eating can impact your clean eating plan. And yes, it IS possible to eat clean AND gain weight. In the end, calories are calories. If you are drowning yourself in clean eating chocolate sauce or pouring on a whole bottle of agave over a gigantic bowl of shredded wheat, chances are you are doing some amount of damage. But that said, those choices are a heck of a lot better than turning to a bag of Doritos like I used to do. It’s not easy learning to turn to clean food instead of junk food. But with a little practice, and some readily available and clean food that you find really yummy, you can slowly train yourself to turn to healthier choices in times of stress. This is a process I’m going through now. I truly don’t believe (for me anyway) that the impulse to eat when stressed will ever go away. It’s like trying to get rid of your impulse to eat when you’re honestly hungry. There’s just no way you’re going to get rid of that feeling. And so it is with stress eating. Learning to manage the foods you eat and the quantities you eat them in is a matter of retraining your brain and your impulses. It takes work, but it is doable. Thanks Heather! While I do eat clean, portion control is often my challenge. Especially when stressed. Thank for contributing to the article! Wow, this post is exactly what I needed right now. Life has been kind of stressful for me lately, and I am *definitely* a stress/emotional eater. And the thing is – I rarely binge on junk food. I just eat and eat and eat tons of HEALTHY food. Like you said, it’s very possible to gain weight while eating clean/healthy foods (I can’t say I’m an entirely *clean* eater…yet :)). I love the tips you gave – especially things to do to distract yourself. I need to start implementing those things because I usually just say “what the heck” and go with the stress eating. And then that just leads to MORE stress! So, like I said, thanks so much for this post 🙂 Loved it! Thanks so much for reading! I know what you mean. Life has a way of turning you inside out and upside down sometimes. I’m going through a rough patch now which is why I wrote the article. But as the old saying goes…. “this too shall pass”. I’m so glad you enjoyed the article! Great post. For me…it’s ALL about emotions..really. or being tired. Sitting w/ my emotions helps me so much. Wow! Great suggestion Michelle! Thanks so much! I’ll have to try that next time. Hi, I just found your blog today! I’m a recent clean eating recruit and recovering stress-eater, so I have no tips so far. I just want to thank you for writing such a helpful, entertaining, insightful blog. I’m adding you to my Reader, and I’m really looking forward to reading more. Thanks Sarah! Welcome to clean eating! Sarah – Yes! Recognizing it truly is a key component! Glad you enjoyed the article! MB – Never heard of it! Thanks! Great tips! I loved your blog!! What protein powder do you suggest for clean eating & weight loss? I’m trying to transition! I love Clean Eating 101- such great tips and resources!! Jade – Please understand that protein powder is not clean, and unless you have a deficiency of some sort, you do not NEED protein powder to lose weight. That said, a lot of clean eaters use it and it is convenient for a meal on the go. In the past, I’ve used 100% hemp powder (manitoba harvest) and 100% whey, unflavored (Natural Factors). There are others out there, but those are the two I’ve used. The problem with the tips above – great tips for overall stress – is that they aren’t helpful for stress in the moment. When I am sitting at my computer and very stressed about trying to get something done for work, I can sit and eat and work, but I can’t go to the movies or even take a walk farther than around the office and that isn’t enough. I would love tips on what to do when I am super stressed but can’t stop what I am doing and go do something else. Ali – That takes some focused retraining. Sadly, that’s the hardest part. This article focuses more on reducing overall stress in your life so stress eating isn’t such an issue. But in the moment, maybe try squeezing a stress ball (one of those foam things), or if you really need to completely retrain your response, perhaps a piece of xylitol gum will help. It will keep your mouth busy while you get through the stress. Grant it, gum isn’t clean, but it’s a heck of a lot better than downing a package of cookies. Also, think about what type of things you go for when you are stressed. Sweet? Salty? Crunchy? Soft? Then try to keep healthy things on hand that offer that same texture. I know for me, I go for things that are crunchy or chewy so I can really work out my stress. So I try to always have carrots on hand. It really is a process of catching yourself in the moment, and making it a point to change what your reaction is. It’s not easy, but it doesn’t take very long either. Teresa – You are definitely not alone! Lissa – That all depends on the reason for her stress eating. For somebody that young, if it’s a real issue, you may want to speak to a professional about it. Otherwise, just helping her notice (in a gentle way) what she is doing may help. But she has to want the help first. Otherwise, it will not be well accepted. It’s about breaking the habit really.